Lime 50 ML E-Liquid from Calipso gets me thinking which is my favourite; this is so smart; it is lime all the way, sharp and tangy and just so excellent I really love it. 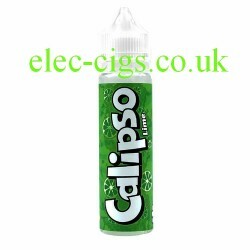 Lime 50 ML E-Liquid from Calipso is a 'Zero Nicotine' 70-30 (VG/PG) version of a favourite fruit flavoured e-liquid. It is a 'Short Fill' which means there is 50 ML of e-liquid in a 60 ML capacity bottle which allows you to add nicotine if you desire. You can enjoy it purely for its taste or you can add the optional Nicotine Shot which will give it a nicotine content of approximately 3 mg (0.3%) or two, which will give it approximately 6 mg (0.6%) of nicotine. 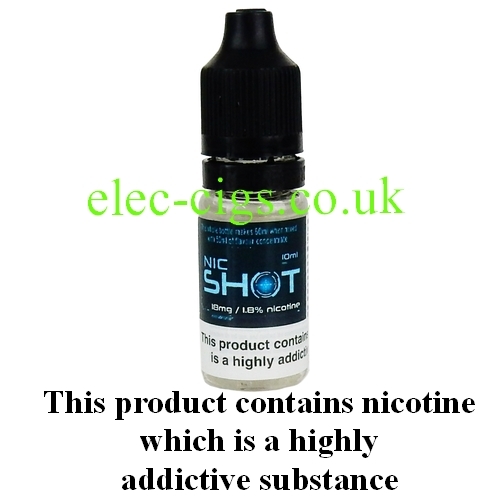 Please note that the 'Nicotine Shot' illustrated may be substituted with one of a similar strength and quality.